Huang Xue Yellow Tea is called Yellow Snow in english. It is produce by a old tea master from a small village in Sichuan, making this a very rare and unique yellow tea. 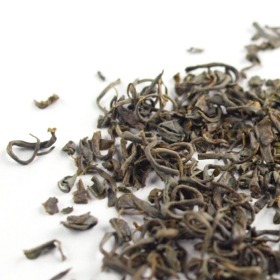 This tea has won the local tea competition in 2008 and it is slowly gaining its popularity. very good tea, very special. It is nutty, sweet and has cocoa notes in the taste and aroma. Probably my new overall favourite tea. An exceptional quality yellow tea. I prefer yellow teas and this is the best I have tried so far. Delicious taste and flavor, my favorite!! !